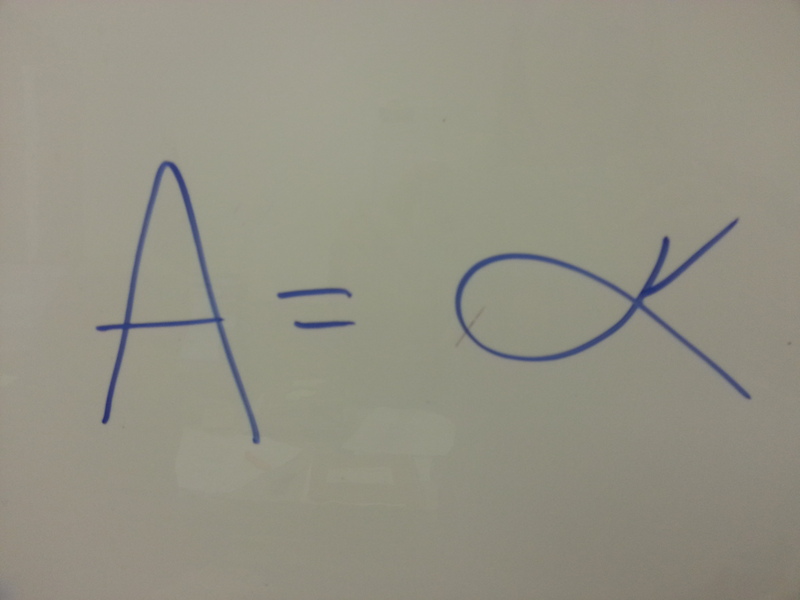 The stuff on the white boards in my office. Truth be told, I have the best office mate in all the land. She is very nearly my doppelganger in most everything but appearances. 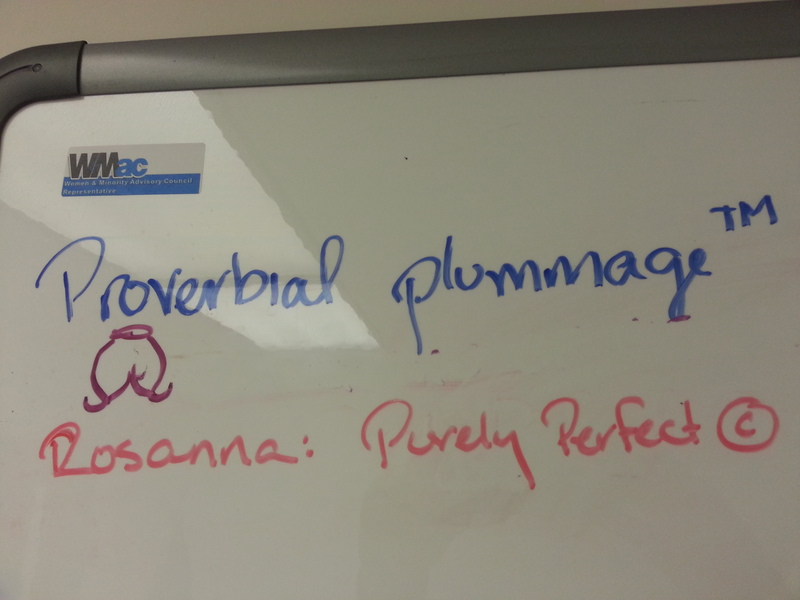 Perhaps the first bit of evidence for this is our shared penchant for writing silly things on our white boards. One cannot be bothered to keep real work related stuff up there. I mean, come on. 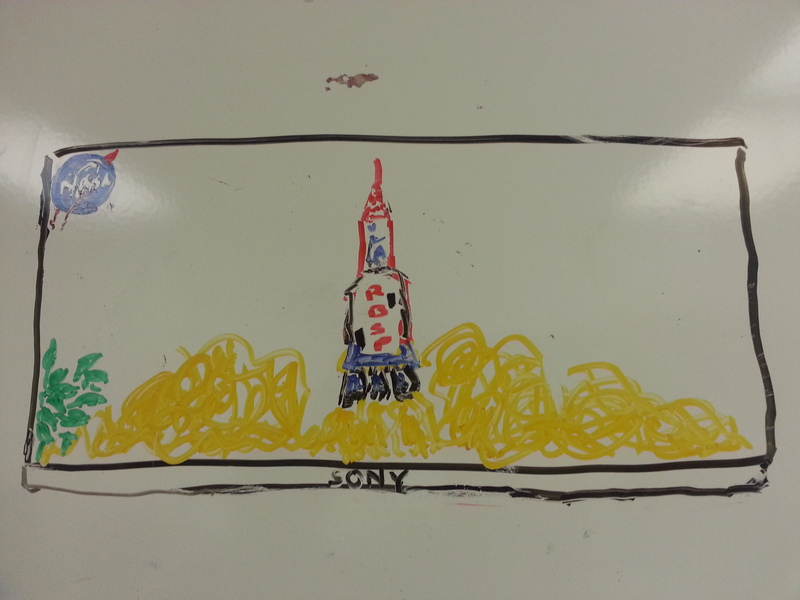 Exhibit A: a quick rendition of the launch of the (then named) Radiation Belt Storm Probe satellites. Who needs television when you have historical records like this? 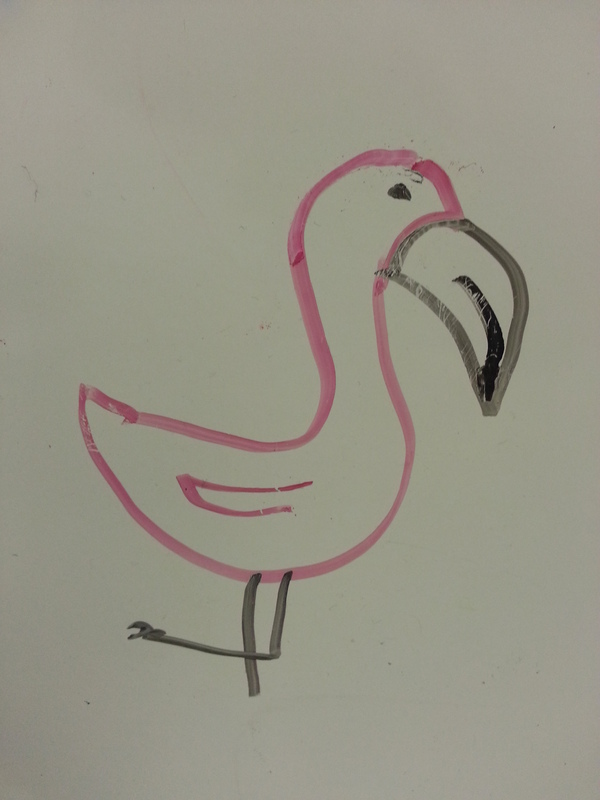 Exhibit B: A beautiful rendition of a pink flamingo, reminding us of both the shrimp-loving avian and the classy plastic lawn ornaments. 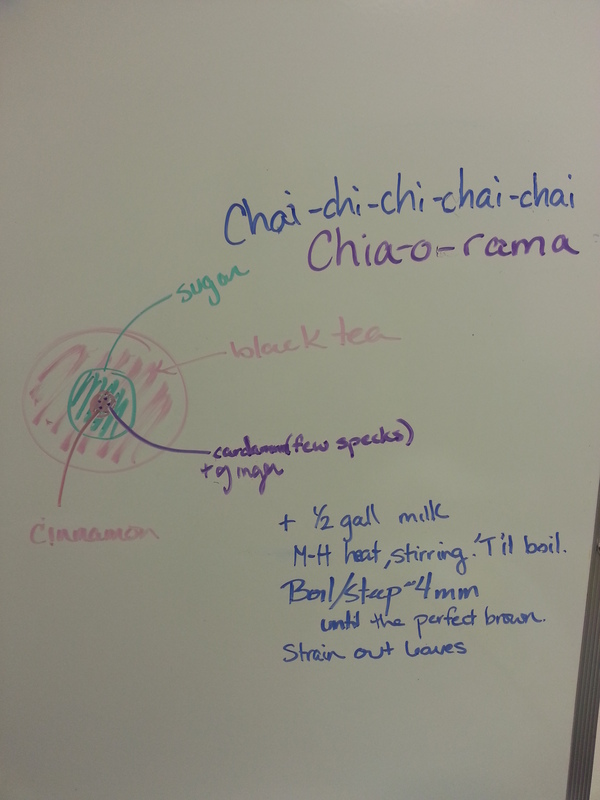 Exhibit C: A diorama of my husband’s chai recipe. Exhibit D: A list of phrases that we have taken complete credit for inventing. Don’t be stealing our ideas now. Exhibit F: Our future tattoo idea. Much like a friendship necklace, this tattoo will have 2 parts divided at the zig-zag. When these powers combine they form… CAPTAIN (gonna watch a) PLANET!!! Oh yes that is a satellite! Exhibit G: This is my most favorite doodle on the white board at the moment. 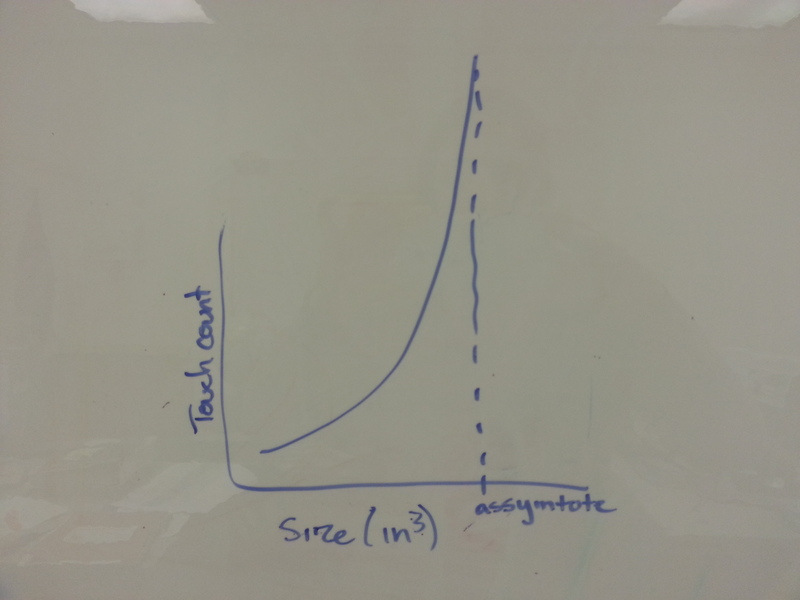 You see, it’s a plot of Touch Count versus Volume of a booty, as described in hip hop. You’ll clearly see that, despite John Hart’s wishful thinking, one does in fact reach an as(s)ymptote wherein, no matter how much plastic surgery one gets the booty simply cannot maintain its size. Our data suggests that this is inconsequential because at that point, the desire to touch is overwhelmingly infinite. Maybe one day we’ll have more technical information on the boards but at this point, this seems like the most reasonable use of the space. 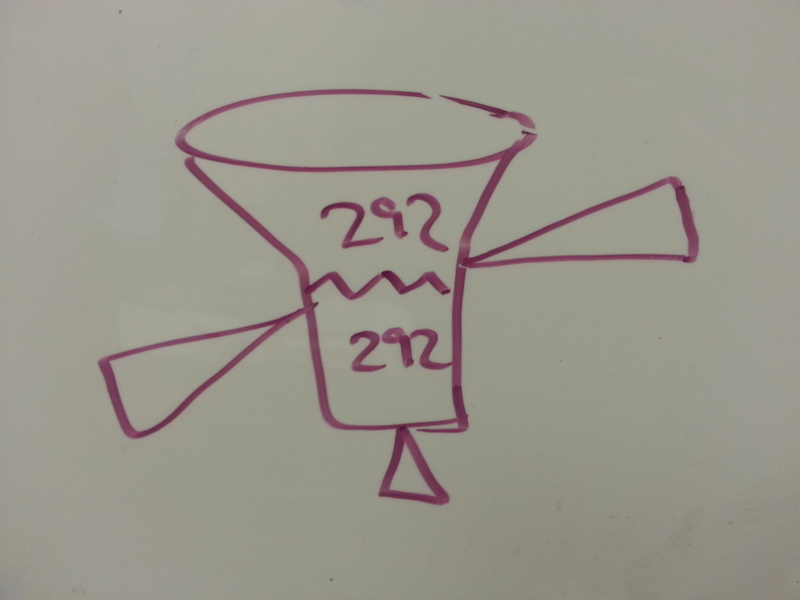 This entry was posted in Language, Stuff and tagged drawings, math, White boards by thingsjackielikes. Bookmark the permalink.